I stole and spun the title of this post from a book of short stories and a story within said book titled, “What we Talk About When We Talk About Love.” The original book and story are by Raymond Carver, and Carver’s work inspired Nathan Englander to title his book of short stories, “What We Talk About When We Talk about Ann Frank?” I’ve read both books and eponymous stories. Englander patterns the same mood and situations that Carver established in the original. Englander changes details, but I would argue his focus is faith and trust as well as love, despite the eye-catching title (something I stole too). Because Englander’s title is so provocative I prefer to focus this post on Carver’s original story to create an analogy. I don’t do fiction. In Carver’s story two couples sit at a table and talk about love – abusive love, new love, broken love, love lost, and love everlasting. As the couples get drunk on alcohol and conversation, they wander and wonder with no conclusion. Love is elusive; neither these fictional characters nor their creator can define love. The characters may say what they each believe love is not, but the futile desire to define love leaves them all literally in darkness. So what do we in the Heartland talk about when we talk about Shaun White? What is it about saying, “Shaun White,” that is akin to ringing Pavlov’s bell? Invoking his name gets a response. Throw in some sports fans who know nothing at all about Congenital Heart Disease, and it’s like saying Betelgeuse three times. All types of shenanigans result. That one post I wrote about Shaun White caused my lonely little blog to get over 5,000 hits in one day when it normally has between one and one hundred visits on a typical day.Why is that? What are we talking about when we talk about Shaun White? Shaun White is a celebrity, yes, but he’s just a person. He has a mother, who actually emailed me once but did not reply to my response. His mother sat in a children’s hospital like I’ve done so often, too often. 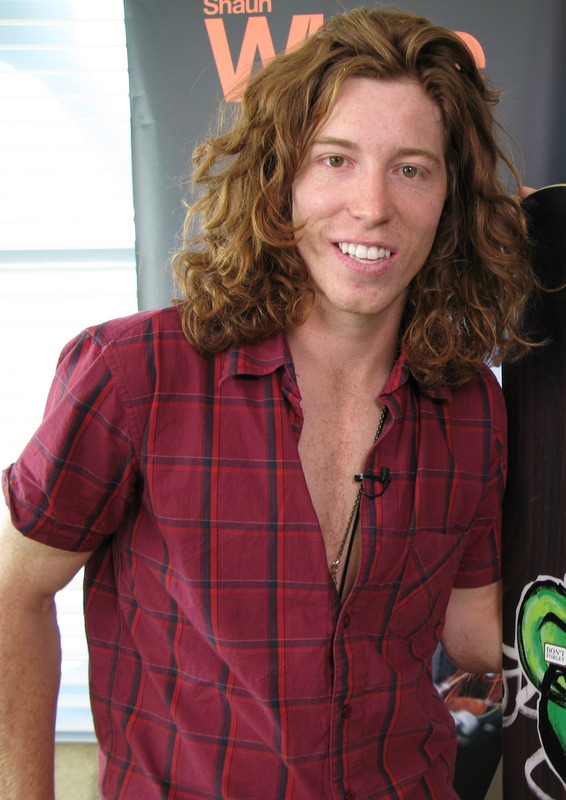 In his celebrity Shaun White is like the Great and Powerful Oz whose magic, like all magic, is mere illusion. The Shaun White illusion is powered by a PR machine and very real physical accomplishments. It’s ironically cruel that we see Olympian Shaun White as an example for CHD, since the sickest CHD kids die very young, and they don’t win medals. There are varying degrees of disability on the CHD spectrum, so Shaun White really is a poor poster person for what CHD is. Yet, we believe in the power of Shaun White because we believe in the magic of celebrity. We believe in that magic because it looms large like a mirage in the distance of a lonely desert. Why did I write my open letter to Shaun White? I wrote it in response to a powerful stimulus. I was exposed to the false promise of celebrity in the magical setting of a movie theater. My brain knows this celebrity mirage isn’t real. I even wrote about it in Heart Warriors, the chapter was called Jenny McCarthy is not the Antichrist and Oprah is not our Fairy Godmother. And yet, my heart was still dazzled by the connection of CHD in a celebrity. When it comes to life and death, no amount or type celebrity matters. It’s a falsehood, a fiction when all we live is so richly real. I’ve never donated to any cause because of a celebrity. I’ve donated because of real people I know impacted in real life. Am I sorry I wrote that letter? No, it was an honest gut reaction and my emotional truth at the time. My letter was a testament to my humanity, frail, flawed, and ferocious. Mine was the imploring letter of a mother’s desperation. Is desperation a legitimate emotion? Yes, and a mother’s desperation for the survival of her child is far more real and lasting than the empty magic of celebrity. It survives centuries and generations. That love is the burden of Grendel’s mother that beset Western literature with Beowulf. It is Mother Mary at the foot of the cross. Now, in retrospect, it seems impossible to match the fleeting illusion of celebrity against something as powerful as a parent’s love. Ours is a love that defies all reason, and desperation is a fundamental truth of the human condition. Does that truth need to be shared? Is our superficial world even able to comprehend such an ancient truth? I don’t know. There are many things I don’t know and will never know. But I do know that when the power of that immediate and intense desperation of my heart finished its eclipse of my full mind and moved into retrograde, my mind questioned the power and value of my own desperation. I question not to judge it but to understand what it might teach me. I am learning not the judge myself or others too harshly. Yet, I also know that I do not desire to be a creature of desperation. I do not want to be defined by my desperation any more than Shaun White probably wants to be defined by his heart condition. Certainly, acts of anger, fear, and desperation are not calculated and lack finesse or strategy. They are honest and pure, but they are also chaotic and electric. Giving too much power to desperation is as dangerous as giving too much power to celebrity. Yet, in the echo of one’s own truth (my own desperate truth of longing for Liam’s longevity) so many others in The Heartland heard the resonance of their own pain. By voicing my desperation, I gave voice to so many people who felt unheard. In the echo of my words, they recognized their own misery. We all know misery loves company, but that’s only because it craves validation. We crave a celebrity endorsement because we crave a wider validation. We want a symbol that embodies all of our hopes and fears – a shorthand symbol for the pain of watching a lethal but invisible disease take shape in our lives. We want to be heard. Cruelly, the validation of one’s suffering is a simple salve on a festering wound that can never truly heal. The salve soothes, but it cannot cure. The wound is a roaring abyss that will not be filled with a million Shaun Whites or parades down every American main street. The abyss in the hearts of so many mothers and fathers will not stop aching with anything short of a cure and the resurrection of millions of children who have been taken by CHD. It doesn’t matter how many people are “aware,” our own pain never lessens because it cannot be undone. We want empathy as much as awareness, but empathy is a sponge and we possess a bottomless well of tears. Ours is a story far too complex for celebrity shorthand. Ours in an epic tale of witnessing suffering for survival and the visceral clenching of hope. Acknowledging that truth makes me wonder how people feeling the same ache over a different disease feel about celebrities who do represent the treatments of those diseases. I wonder if they feel soothed by the awareness, if they even notice it at all. I wonder if they feel used, shunted aside to make a celebrity look good and giving, even as the affected families are grieving their journey. I wonder if cancer patient families would hand over all the celebrities riding their children’s hospital gowns and trailing IVs just to focus unfettered on the same hope we seek on the horizon. I wonder if wanting Shaun White or anyone else to represent the complexity of this battle somehow cheapens it. I wonder so many things. I imagine that any critical diagnosis, even of a disease that people actually recognize, is no less unsettling because you already knew some small thing about the threat. Celebrity doesn’t save lives from diseases that cannot be prevented, medical vigilance does. The kind of awareness we need takes place in ultrasound rooms, birthing centers, and middle school physicals, not on the slopes of glory or during movie trailers. Celebrity is a mirage – it is a location where we will never arrive. Even if Shaun White was all about CHD awareness it might open a dialog, but it won’t heal anyone’s heart. There is no water in the celeb-mirage, no sustenance, and even if it soothes us today it will never last. Shaun White is a person, not a messiah. I understand better how perceived power is immaterial and influence is fleeting because for the past ten years I had the power to sooth Liam’s fears, and my power has dimmed in his enlightened age of reason. My power to “make it better” dies with the Easter Bunny and fades with the Tooth Fairy. I can console, but I cannot heal. By reconciling the limitations of my own power, I realize the truth of the limitations of any celebrity to make a real difference. Liam will define himself on his own journey, on his own terms, at his own pace, and with his own unique set of challenges. If I cannot change my own son’s path, why should I influence anyone’s road? I am just one wanderer, a Wyvern mom trying to figure out how to live a joyful life even when death perpetually circles overhead. We have no oasis, no Promised Land. Ours is a long and lonely march against fear and our horizon holds a fuzzy glowing hope – vague and undefined but always there to be followed. We follow that sun, and we will find no short cuts, no easy outs, no magic bullets, and no simple Shaun White solution. What can we do but take comfort in the open sky, the beautiful misery in our landscape of paradox, and our traveling companions? What can we do but take comfort in the gift of one more breath, one more step, and the very real magic that we’re still standing? All that we can take from this journey is what we learn from it. Though my Shaun White letter got thousands of hits, I think my Hope Snorts post was a more mature channeling of my desperation. It was less angry and more resolved. The burden of our anger is astounding and sometimes unbearable as our children’s lives are threatened. No one owns any blame. Our anger is just, but it cannot be directed, only diffused. Like Carver’s characters grappling with love, we cannot define what this experience is, only what it is not. 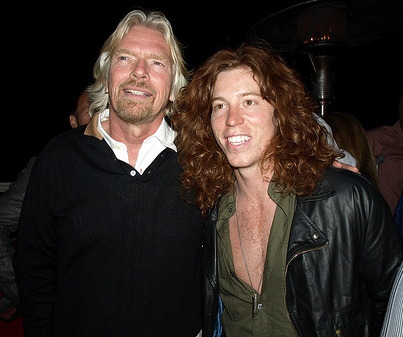 Friends, it’s not Shaun White; his heart defect is just a coincidence not a call to action. We will not be rescued from the pain of watching our children suffer to live; we cannot be rescued because this is our road. This is not what we thought it would be, and we cannot control how or when it will end. Deliverance from obscurity will not change our course. Our path, like Raymond Carver’s conception of love, is ill-defined and prone to darkness. It simply is what it is, and it is not so simple as a celebrity endorsement might make it seem. We are real. We are here, now, in the present. We are the Wyvern, may we always walk tall as we walk on. You have no idea who I am, but I know who you are. I can’t help it, your face was on a pack of gum in the grocery checkout line last night. No, I’m not your target audience of hot chicks and Axe body-spray wearing hipsters. I’m twelve years older than you, but when I was your age I was trying to get pregnant for the first time. I’m writing to you about the baby that I eventually had when I was close to your age. I know who you are because you’re just enough (and nothing at all) like my child to have caught my attention. My son can’t snowboard. Well, maybe he could with a lot of effort, but since his back is malformed and his legs and feet are different sizes it would be hard. Then, he’s missing half of his heart and what that does to his liver and lungs makes it extraordinarily difficult for him to handle cold weather. But, like you he had multiple open-heart surgeries when he was little. You’re an extreme athlete, he’s an extreme congenital heart patient, ah but so are you. My son, Liam, is nine and he’s rather proud of his Shaun White for Target hoodie that his grandma gave him because like him, you have a special heart. He knows who you are, but we don’t know why you aren’t part of our community, our heart family, the Heartland. Here’s the thing. I saw you on gum on Sunday, but on Saturday I saw you on a St. Jude’s commercial before watching The Hobbit. I confess, this mom who is pushing forty may have blurted out, “Is that Shaun F’ing White in a cancer commercial!” for the whole audience to hear during the trailers. I couldn’t help it. I did say f-ing and left out the uck; my kids were there. Yet, I’ve not seen any coverage of your CHD since 2010. It’s been overtly downplayed as what . . . a disability that should be shamefully hidden? I love it that you’ve had excellent postoperative health, but if that was the norm for all CHD patients we wouldn’t be losing thousands of them every year. Your CHD experience is laudable, but it is the exception, not the norm. In the past, other parents of CHD kids gave you a pass on advocacy, saying you didn’t want to be labeled by your disease, and we all agreed. You shouldn’t be forced into the role-model status of child-health advocate because of your CHD. What is perplexing is how eagerly you took that role for a disease that needs you far less than we do. In that pre-Hobbit St. Jude commercial, I nearly screamed when the narration piously implored that “Not everyone is as lucky to have children as healthy as yours.” Really!?! Really, my child has been under general anesthesia with a pediatric cardiac anesthesiologist no less than 13 times for what amounts to close to 10 full days. My son has spent nearly a month in medically induced coma. My son has been packed in ice and taken to the doors of death just to save his life and will go there again to stay alive. My son has had millions of dollars of medical care before he was in kindergarten, and a bunch of movie stars and athletes want to tell me how lucky I am for my healthy children less than 24 hours after the Sandy Hook massacre? Really, St. Jude, you’re going to tell everyone how lucky they are when there are dozens of other just as lethal but less visible afflictions facing children? But I digress. Don’t get me wrong. I know cancer. My dad died at 48 of it. My mother-in-law lost both of her parents to cancer before she started high school only to get it herself in adulthood. I lost a classmate from leukemia when I was only 12. I watched friends bury their son, and watched two coworkers battle it in their children. I understand cancer because I’ve spent more than three months living in Ronald McDonald Houses in two states where by peer parents battled every imaginable pediatric disease. I know how horrible cancer is and have known my whole life. I didn’t know a thing about CHD until I was offered to terminate my baby before he was born or put him in a hospice the morning after his birth. I had no idea the fight I faced, and neither does most of America. Cancer, I understand and there isn’t a soul who shops who hasn’t seen the St. Jude campaign in nearly every storefront in America. While St. Jude is ubiquitous and the families who benefit do so without financial hardship, CHD families are invisible and suffering. I can’t tell you how many mothers I know whose children don’t have headstones because after all the medical bills they cannot afford them. This is the price of the obscurity of CHD. This is life with a silent killer stalking your child. You see, I cried when I got home from The Hobbit because the week before my son’s cardiologist called me to tell me my son’s heart function is declining. He called to tell me that Liam’s twelve heart surgeries so far just weren’t enough and that after tinkering with his medications for the next few weeks we’ll get to have the lovely pace-maker talk again. We’ve been talking pacemakers and toxic meds all of Liam’s life and we’re creeping ever closer to tearing open his small chest for a sixth time and all the risk that entails. I cried because you could help spread awareness and raise money to figure out sick sinus syndrome, PLE, plastic bronchitis, heart block and a plethora of complications that kill children like Liam every f-ing day. EVERY DAY. But you chose to support cancer, so I cried because no one, not even someone born on our side, wants to help us and once again we are left to help ourselves. I tell you, it’s exhausting championing a cause when you’re also trying to keep a child alive. Shaun White, my son was born with a heart defect like you were, but his ten discrete defects fall on the far end of spectrum of CHD. Liam is nine years old, and there is no Saint Jude alternative for congenital heart patients where parents never, ever have to pay. We’ve paid over $80,000 to keep our child alive, and that’s a drop in the bucket for what it’s actually cost. There is no Target House for us, rather we are some of the many people who get on lists for Ronald McDonald Houses around the nation. When we couldn’t get in we were homeless, wandering the halls of the hospital in the dark of night, eating from vending machines, praying, praying, praying and never sleeping. I have to imagine that you simply don’t know that while (according to the CDC) 10,000 kids between 0-18 are diagnosed with every form of pediatric cancer each year, 40,000 babies are born with CHD. As many as 8,000 of CHD kids will die. Twice as many children die from CHD as cancer every year. I have to imagine that you think all CHD kids are as lucky as you have been. If that’s what you think, I have a few thousand kids you should meet. I have a few thousand graves you should visit. I know two children (Mark in 1986 and Zachary in 2006) who have died of cancer but I know more than 200 (Addison died in October, Xavier died in 2006. But the list is so long that when the names start tapping in my heart it breaks into thousands of tiny pieces) children who’ve died of CHD. I do not value one life over another. But I gave birth to Liam. I live with Liam, and Liam has almost died three different times. When he sleeps at night, his heart gets down to 28 beats per minute. Sometimes, his heart just stops. His cardiologist calls these “pauses”, but the pauses are increasing in frequency and duration. Liam’s liver is taxed. Liam’s lungs are being damaged by the day. Liam is facing a future of medicines that may one day give him cancer too. There is no cure for Liam’s disease. There is no national rally to find one. Shaun White, should you care about Liam? Should you care about the 3,000 babies born each year with the very worst forms of CHD? Should you care about the other 37,000, half of them just like you, who will need at least one open heart surgery? Should you care that so many of them will die this year, and next year because while they can be saved once, we don’t know how to keep them alive with such broken hearts? I think you should care about Liam no more or no less than you care about the kids who have cancer. I realize you don’t want to be defined by your CHD, by your TOF. I get that. I don’t want Liam to be defined by his heart defects either. I love that he’s an artist, that he’s hilarious, that he laughs like the clarion bells from Heaven. I love my son for being who he is, and all I want is for him to live and be the person he most wants to be. I understand that you don’t want to “be” a cause, but I have to wonder why you chose the one cause that has infinite support instead of the cause that is invisible but twice as deadly. Instead of the disease you were born with yourself. . . Why not CHD? Because we don’t have a St. Jude? Because the American Heart Association has no strategy to fight CHD? Because your publicist doesn’t care about CHD, doesn’t know about it? Because St. Jude gives you lots of face time and free publicity? Why not CHD? Why not Liam? The difference between kids served by St. Jude and kids like Liam isn’t just that there are more kids with CHD or that more kids with CHD die. The biggest difference is that we have no St. Jude at all. No one is standing up for the two million people born with heart defect. We have no Jennifer Aniston. We have no Robin Williams. We have no Marlo Thomas. God knows we have no Hobbits. Saddest of all, we have no Shaun White, the one person who really should be on our side. All we have is an army of moms and dads who see St. Jude plastered all over every store front, in the trailers at every movie, this Christmas season and wonder if our own children will still be here next year. We wonder why no one cares about our kids. We pray that someday, someone with the power to get attention to this cause will care enough about our critically ill children to help us save them too. Until then, we fight the invisible disease alone, afraid, and we do the best we can to save the lives of the forgotten children of CHD. So, should you (or you publicist . . . ha, ha, ha) decide that CHD is something you should take a stand on, you can bring your super wealthy friends along to meet with folks at these great organizations who could really use a boost from someone with your stature: ACHA or CHF. Jennifer Ansiton and Robin Williams don’t need you half as much as we do. Why you wrote such a letter, I cannot know. Anger is no excuse and your apology, well – at least you realised, I am sure it was sincere (I take things at face value, unless I know otherwise). You see, I recently purchased your book. I have tremendous empathy for your son, in the best sense – I understand he has gone through so much and it is not deserved, yet he is a stronger, more special kind of person for it. Your letter to SW seems to me, at odds. You seem to understand the important things in life, taught perhaps to you through your experience with your son? I am pleased to know you recognise he too, should not be defined by his condition. I have an inkling how tough it must have been for Liam and you – being born with highly complex CHD, but before pre-natal scans in 1980, before they had any operation for me, to be the recipient of the TCPC when it was experimental. Chest drains back then were more industrial, they didn’t manufacture paediatric drains for kids back then. Being part of the learning curve, I had 2 stages of the op in one, and about 5 years between the first and these stages combined. This was more difficult of course, but I had no choice and the team were learning about the best, safest approach. Numbers don’t matter (to me) even a repair via OHS for a ASD is a traumatic, big deal for a child, a toddler, a baby. My (and others) respiratory failure and massive pleural effusions (I understand you know all about that) were their learning curve. I was fortunate to be at the right hospital, at the right time, when the surgery was developed. Plus, my team were incredibly caring, the most important factor in medicine? I can tell you, it definitely gets more frightening (as a patient) with age, you become risk aware, but also I feel one realises they have been through more than others, and perhaps stand out (in a good way) as examples by the people they are, not defined by their condition but partly (yes) inspired and shaped by experiences. I spend time presenting to CHD staff about working with adult CHD patients, and am working towards a career in cardiology, despite having to go back to engineer for a bit before continuing (due to discrimination by someone who thought that my condition was a problem, for them!) I don’t tell everyone about my condition – work mostly do not know. I don’t go there to preach CHD, I go to work with fellow human beings and do a good job. I don’t think it’s necessary. I do believe SW seems to want to keep it pretty private – fair enough, as a patient, I understand entirely. I am constantly amazed at how much better paediatric cardiac care has been through early diagnosis, access to specialised equipment and practice based on hard fought knowledge gained extensively in the 60s, 70s ad 80s (proud to have been a part of that). When I play tennis, I try and play as well as possible despite the fact it is never an even playing field and half the time my cyanosis makes me dizzy, not play to my potential (technical ability?). I cannot play singles competitively, I can hammer someone for a short period before they keep going and I get tired. So I play with friends, competitive but without worries of it reflecting on a ‘score board’. For the first year, I was sick after 1/2 hour due to the physical effort. I want this part of my life to be normal, to undertake my passions and not be the heart kid (or man, though I must confess I try not to grow up). I re-emphasise – I am happy you seem in a better place.